The "STEM problem" is real. There are not enough students choosing STEM-related paths to meet the growing global demand. We need to change the way we think about teaching these topics if we want to get more students involved. Educators need something that is accessible enough for a new user to pick up quickly, engaging enough to keep students excited, and versatile enough to encourage creative thinking. The study of robotics has risen to the top as one of the most effective solutions to this need – and for over ten years, no robotics platform has proven more suitable for classroom use than VEX EDR. VEX EDR is more than an integrated system of motors, wheels, metal, and sensors that can be used to build or programprogramme robots. It’s an established classroom companion for STEM learning in middle and high school. It’s a tool to help students understand crucial problem-solving concepts. It’s a catalyst to help students discover a passion that could continue to drive them through college, a career, or even the rest of their life. 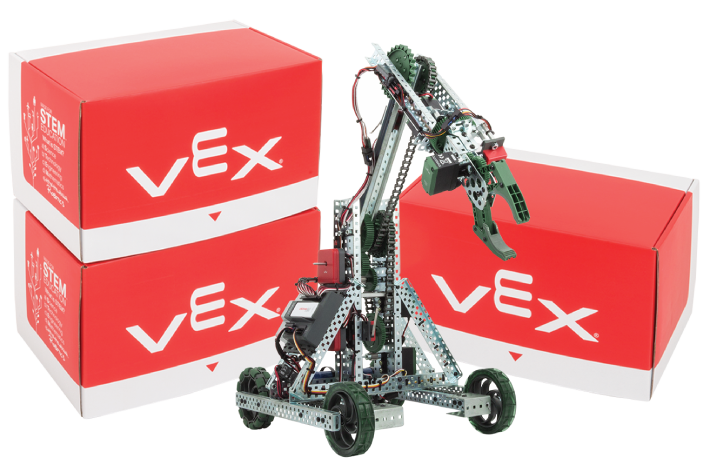 Whether you’re launching a district-wide programprogramme or building your first robot, VEX EDR kit options make it easy to choose what’s right for you. VEX classes aren't solely meant to train future engineers. They're designed to provide a framework for teaching everything from math and computer science to life skills like teamwork, project management, and critical thinking. Building and programming a robot is so much fun, students will learn without even realizing it! "VEX Robotics puts the emphasis on STEM. The robot kits promote creativity, problem solving and teamwork through the engineering of students’ own designs!" The world’s largest and fastest-growing educational robotics competition is the perfect opportunity to apply classroom learning in a thrilling environment. VEX EDR is so much more than just building robots. Find out why. Unleash the potential of VEX EDR with programming. Learn how VEX EDR is transforming classrooms across the world.